I am an experienced backpacker, though it would be my first time in Nepal. Seeking like-minded friendly hikers, ages 25-35. It would be best if you are also coming from the U.S. for easiest coordination of flights. I would like to start during the first half of October, but I am flexible. 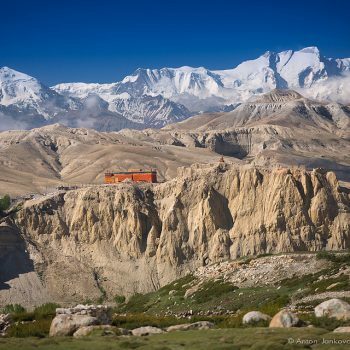 Itinerary is also flexible, but I would like to avoid the ACT/ABC crowds and maximize spectacular views, so I was thinking Upper Mustang/ Upper Dolpo/ Dhaulagiri Circuit (or any combination of them). Not sure about budget, but its going to be at least the permit and the guide, as I understand those are mandatory. I am travelling to Nepal from Canada and will arrive Oct 1st. I am trying to find other people to do the Manaslu Circuit (~15-19 days) with me as it requires a group and a guide to get a permit for that area. Would you be interested in that? Hi Lee!! I m travelling around the same time. You already have made up a group? Hi, sadly it looks like my plans have changed — I will be leaving later than I ‘d hoped, and I am not sure yet about details. You might want to talk to Aeron (who commented above) who is traveling during that time and already has a plan. Good luck!